Businesses of all sizes face a plethora of hazards in the contemporary marketplace, but few are as insidious as the global ‘grey market’, a welter of networks that divert products away from their authorized distribution channels without the approval or knowledge of the manufacturer. Grey market channels have had a particularly harmful effect on original equipment manufacturers (OEMs) of information technology and related products. IT products are especially vulnerable to the grey market because they are much in demand and their OEMs often establish a multitude of distributor relationships and channels, many in international markets. CIOs, along with other senior executives in victimized organizations, have a major leadership role to play in terms of ensuring that such practices, which can cause great harm to the company’s network, not to mention its bottom line, are monitored and eliminated. 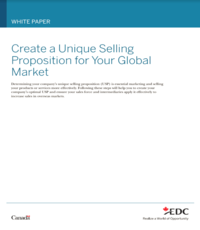 This article offers some strategies to combat the grey market threat. According to a recent research study conducted by KPMG LLP in co-operation with The Anti-Gray Market Alliance, a group of IT companies based in the United States, the grey market drains about US $40 billion of revenue and $5 million in profit out of IT treasuries worldwide. It isn’t just rogue brokers partaking in this activity; some authorized and reputable OEM distributors also participate in the grey market, sometimes to satisfy a market need by selling off excess inventory or products at the end of their life rather than returning them to the OEM. Such practices also hurt the consumer, who ultimately enjoys few rewards yet bears many risks, such as paying full price for a product with defective or counterfeit parts, or ending up with an invalid warranty and/or inability to access technical support should the merchandise become defective. Although the OEM is not at fault, their reputation and brand name suffers when the customer becomes disgruntled. So what can be done to quell losses stemming from the grey market? First, OEMs need to know with whom they are doing business when they establish an authorized distributor relationship. Establishing a qualifications process might be helpful in that regard. Distributorship arrangements must be specific and protected by legal authority wherever possible. Agreements should, for example, spell out a definition of the distributor’s authorized territory as well as expressly deny grey market participation. To further discourage participation in the grey market, the OEM needs to develop close working relationships with all authorized distributors and share decisions about how product will be moved. Solid strategies and policies for appropriate use of the broker network should be implemented within the company and continually reviewed to make sure they are effectively enforced to prevent grey market intrusions. They must also be updated as required to protect against perpetrators who may be seeking new, more deceptive ways to divert product. Some participants, for instance, use fraudulent documentation to take advantage of legitimate discount programs and obtain product, then shift it into grey market channels. OEMs also need to improve the control environment in which they operate. The KPMG-Anti-Gray Market Alliance study showed that while many corporations currently have formal programs in place to manage distribution systems, those programs aren’t designed to contain grey market leakage. Therefore, an ongoing monitoring and compliance program needs to be instituted to ensure rules are being followed without interrupting the sales process. Another high priority should involve training internal auditors to uncover grey market distribution channel transactions and processes. This has proven difficult in the past, particularly when product is being moved outside the country. One way to better manage product distribution through tools and processes that meet industry best-practice standards might involve increasing the use of technology, such as the Internet. The advantage here could be twofold: one, it may provide a more effective and/or secure environment for managing items such as warranty and sales incentive programs that can be conducive to grey market abuse; two, it might improve tracking the whereabouts of individual units. Companies should also institute formal training programs designed to educate employees about the perils of the grey market. To complement those efforts, it may also be wise to have independent external advisers that have no relationship with the distributor audit authorized distribution partners to ensure they are not using grey market channels to bolster sales. Finally, two of the hottest buzzwords in business today are “corporate governance.” Public companies combating the grey market should not hesitate to flag the review of distributor compliance as a priority issue that demands the full attention of the board’s audit committee. These are a few simple, yet effective, ways to combat the grey market menace. Companies will have to decide which strategies might work best for them. But as businesses of all sizes are coming to understand, action is essential to counter this growing threat. Peter Doyle is the National Leader for KPMG Canada’s Information, Communications and Entertainment practice. He is based in Toronto.